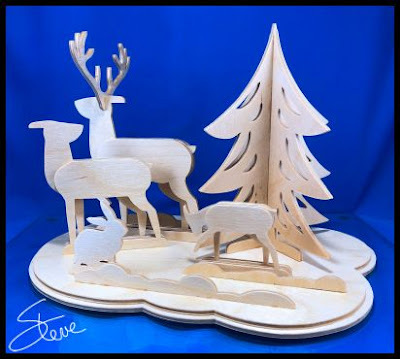 Scrollsaw Workshop: 3D Reindeer Winter Scene Scroll Saw Pattern. 3D Reindeer Winter Scene Scroll Saw Pattern. Before I start getting emails, let me say that I know the rabbit is too big in this test cut. I reduced him for the final pattern. That was a good 45lb rabbit. 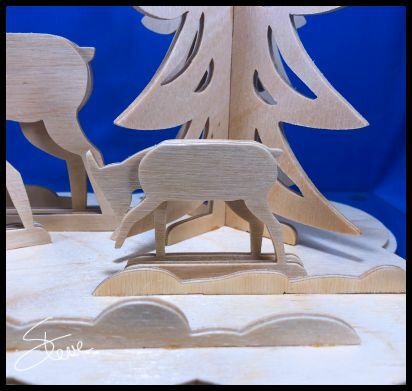 This 3D reindeer winter scene is another fun holiday project that is easy to make. 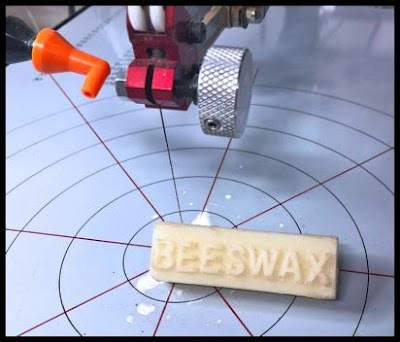 You may have never used beeswax with your scroll saw but it can come in very handy in the right situation. I always have a stick handy for those times I need it. What are those times? Heat is an enemy of scroll saw blades. The less heat you generate from friction while cutting the longer your blade will last. Some species of woods have a tendency to scorch on the edges if the blade generates too much heat. Cherry is a prime candidate for scorching. 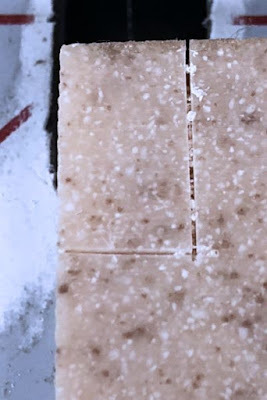 Most scrollers know that using tape either over or under the patterns will help prevent heat build up. The glue in the tape lubricates the blade and that reduces friction. There are times when the tape trick is not enough. That's where the Beeswax comes in. If I see any sign of scorching on the edge of the board I reach for the beeswax. To use it just start the was and cut into the wax about a millimeter. You may have to repeat this several times as you cut the project but it helps immensely in reducing friction hear. Another case where the beeswax can help is when cutting Corian or plastic. 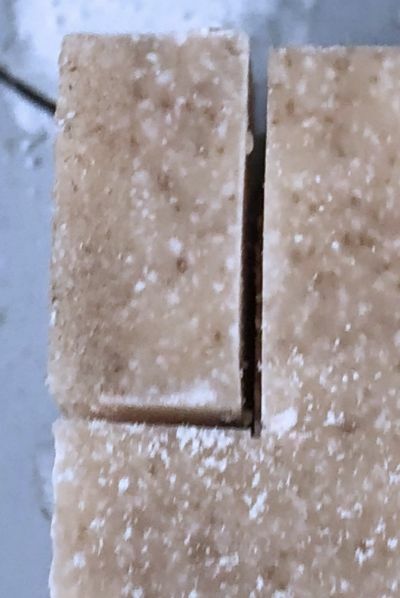 I have a small scrap of Corian on the saw. Normally I would use a skip tooth blade to cut Corian but for this demonstration, I am using a scroll reverse blade. Not the best choice but it will demonstrate the problem better. In the first cut, I did not use tape or Beeswax. The heat generated caused the Corian to fuse back together behind the blade as I cut. When I completed the cut the piece would not come loose. It was stuck back together. Too much heat was generated. On this cut, I only used the beeswax. I had better results. I could pull the piece away after the cut. It still was slightly stuck but it was not fused back together. This is not an example of how to cut Corian. I just wanted a tough example to show the benefits of the beeswax. 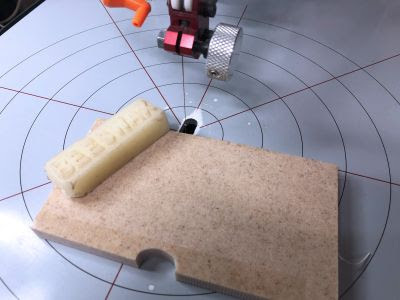 You could go your whole life and never use beeswax on your scroll saw blade. It is not an essential supply to have but it is a handy supply to have. There are times when it will make your job easier. The good news is that beeswax is cheap. 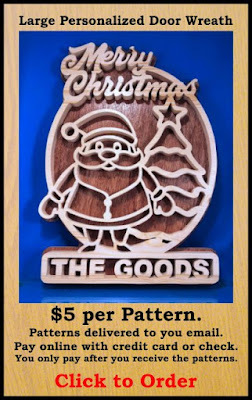 At the link above you get five 1oz bars for $6. That's enough beeswax to last a few lifetimes on a scroll saw. 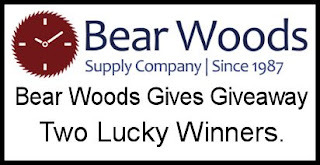 The 1st Winner will receive a $100 Bear Woods gift certificate. Inlay with a 1" Forstner Bit. 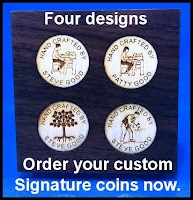 The perfect way to sign your work. 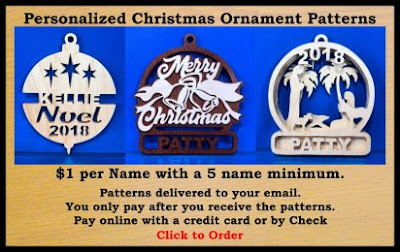 This DVD has 2,300 patterns published from 2007 thru 2017. 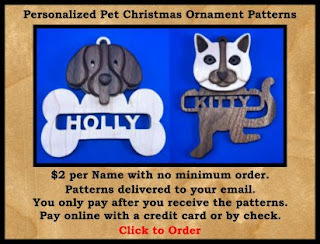 If you use the DVD on a Windows PC there is a simple viewer program to browse through the patterns. The DVD also works fine on a MAC. The viewer program is not MAC compatible but there is an included PDF with all the patterns shown as thumbnails for easy viewing. Support the businesses who support our community. Shop Bear Woods for your craft supply needs. Home of Pegas scroll saw blades. 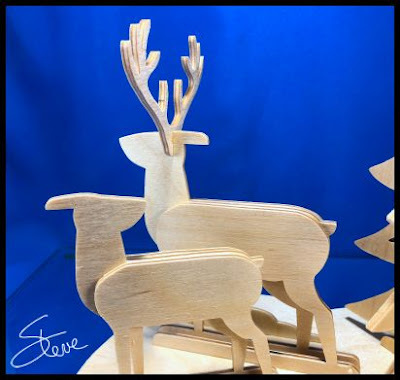 for you scroll saw ready boards. Ladies, who said you can't look just as nice in the shop as you always do. These Dust masks will keep you breathing and healthy plus make you look good. Guys that have some for you also. 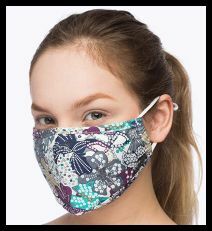 ✅ This mask will keep safe your mouth by protecting from all dust, air polluted place, vehicles smoke, and sandy air. It is the anti-dust even in changing weather.